The Missions Department has now expanded becoming Cornwall Aid Centre and has moved into large premises in Pool Redruth continuing to engage and influence many lives in the local community through the many projects taking place. Care is at the heart of Emmanuel Full Gospel International both at home (UK) and abroad. EFGI has worked tirelessly locally to bring aid, training, comfort and care and sent aid to over 25 nations including Iceland, Russia, Poland, Romania, Albania, Israel, Phillipines etc. . As you explore EFGI you will understand that as we are working together in partnership with various agencies, helping those that are in need, we have been able to engage and influence many lives. The Missions Department has run a warehouse for over 25 years and has delivered and distributed aid to thousands in need. Thank you for your continued help and support. Much appreciated. Thousands of items of clothing have been donated into the community. This is sorted, cleaned, sewn and neatly presented to many in the community locally, nationally and worldwide. The Cornwall Aid Centre will now be able to expand its distribution of clothes/shoes in order to help and bless many more people and families. EFGI has successfully run a food bank (now ‘Food 4 Life”)for 16 years with many thousands of food boxes and packages donated to those in need both in the local community and also orphanages abroad in Romania and Albania. ‘Food 4 Life’ is known as ‘the one that will go anywhere to meet the need’ by local agencies eg. Social Services, Volunteer bureau and Councils etc. Food 4 Life is used extensively by the local community and each bag/box is packed by volunteers who give their time sacrificially to meet the needs. Many people are ‘housebound’ in residential/care homes and this ministry has grown tremendously over the years. Established to meet the need of those not able to leave their home environment – wool, patterns, needles etc. were donated to all those who would like to knit/crochet items. This ministry took off with so many items being made and donated it surpassed the expectations of EFGI. Many OAP’s look forward to their visits and many lives have been changed because of the message of Jesus Christ continuing to be shared through Stitch in Time. If you would like to take part in this project please contact E.F.G.I. 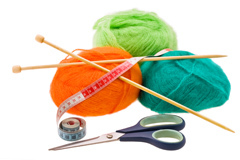 WANTED – KNITTED/CROCHETED ITEMS: thousands of items needed for people in need. Also knit for the Armed Forces – for more information please contact our office. Thousands of shoeboxes have been sent to adults and children in need at Christmas. These are prepared throughout the year and asiItems are always required we are able to store these safely, making sure each person has a box prepared for them personally. These boxes are prepared with items that will fit into a shoe box eg. Soap, flannel, toothbrush, stationery, small toy, tools, shaving foam etc. 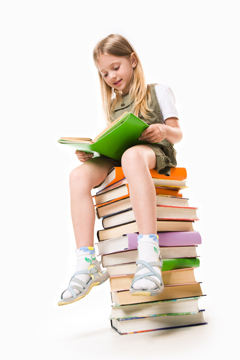 Emmanuel Full Gospel International donates thousands of books to schools all over Cornwall. Many letters of thanks have been received from Head Teachers of these schools, including Catholic schools who are delighted that these books have been donated. These books are bought in large quantities by the pallet load by EFGI and every single child in these schools receives a book that makes a great impression upon them.